The Victorian Horticultural Society was formed in 1848 with Lieutenant-Governor Charles La Trobe as patron. The committee and members were drawn from the highest echelons of Melbourne society, in contrast to the Victorian Horticultural Improvement Society, which was filled by more practical, full-time gardeners and nurserymen. 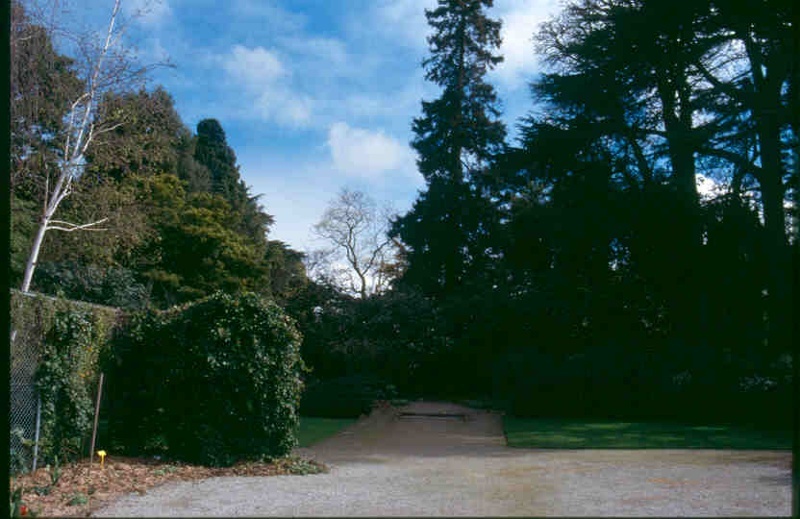 In 1860 the Society was granted 25 acres in the Survey Paddock in Richmond for ornamental and experimental gardens. A sum of £600 was also granted, which was partly expended on laying out seven acres of the gardens with terraces to a geometric design by Alfred Lynch, landscape gardener of Prahran. The primary aim of the gardens was to provide horticultural instruction and to trial fruit tree varieties for possible commercial exploitation. 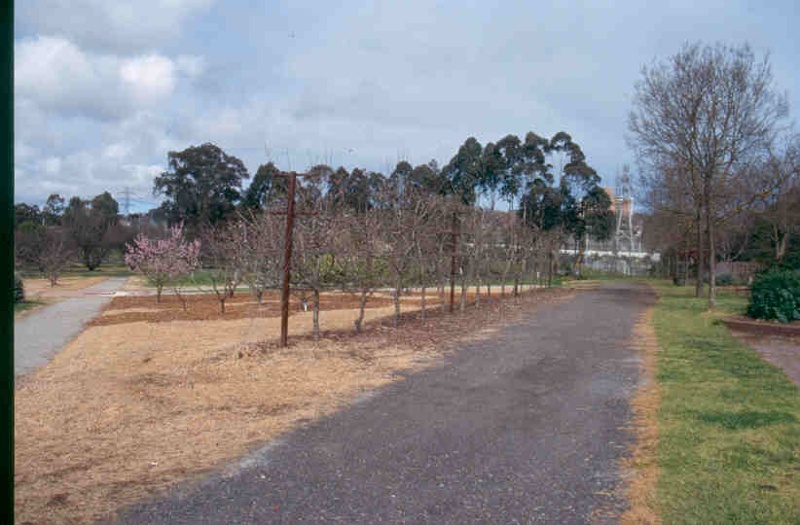 Unlike the ornamental part of the gardens, access to the orchards in the proving grounds was restricted to members. By the 1870s thousands of varieties of fruit and vines were being cultivated and experimented with. The Society largely relied on grants made by the government in recognition of its contribution to the development of the fruit industry. A substantial exhibition pavilion designed by architect Alfred Kursteiner was added in 1884 and by 1885 the Society was by known as Victoria's Royal Horticultural Society. In 1891 the Society could not service its borrowings, became bankrupt and ownership was passed back to the Crown. The government established the gardens as Australia?s first school of horticulture under the auspices of the Department of Agriculture. In 1899 the school?s first principal, Charles Luffman, redesigned the ornamental gardens in the landscape style, amenity horticulture was first taught and the school pioneered the admission of female students. Edna Walling, one of Australia's pre-eminent garden designers, graduated in 1917, the same year that the school became known as the School of Primary Agriculture and Horticulture. John Cronin, Frederick Rae, Alec Jessep and RTM Pescott were all school principals who went on to become Directors of the Royal Botanic Gardens Melbourne. 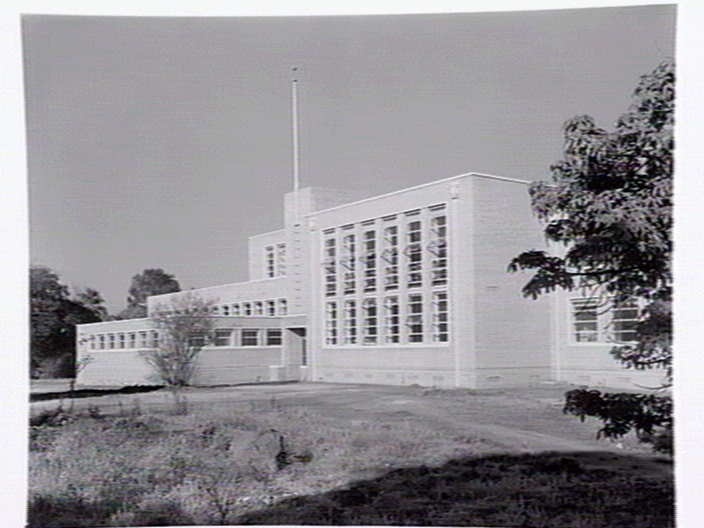 In 1947 a substantial new administration building built in blonde brick was begun, designed by Percy Everett of the Public Works Department, and the 1884 pavilion, which had been modified for classrooms, was subsequently demolished. There were several changes to the boundaries of the gardens in the twentieth century, resulting from the addition of land at the rear of the administration building in 1952, and the sale of the Department of Agriculture land in north-west section of the Gardens in 1995. 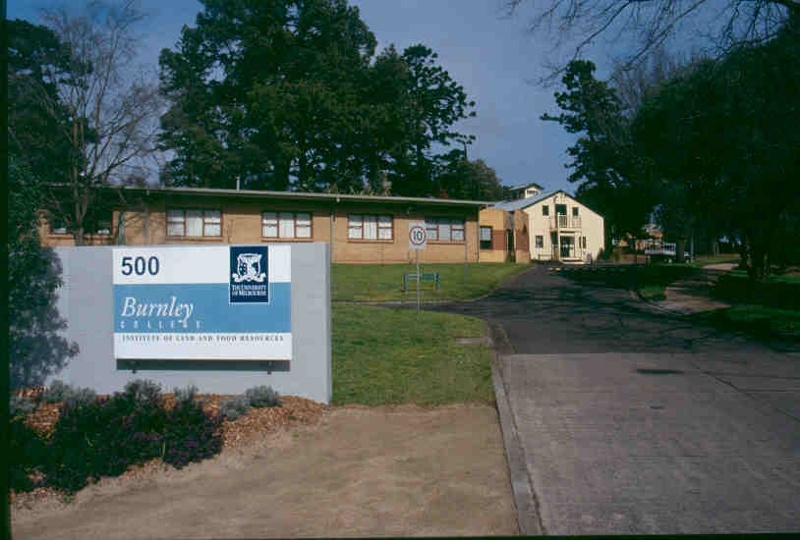 Crown ownership of the Burnley Gardens was passed to the University of Melbourne in 1994. The original layout by Lynch survives in the general form of the curved southern boundary of the gardens, in the fundamental division between the ornamental gardens and the former proving grounds, and by the remnant axial path system. Much of Luffman?s scheme for the ornamental gardens survives, including curving path layout, lily-pond, lawns, garden beds and vistas. There is a rose garden, perennial border, Australian native garden, cactus garden, and orchard. The tree collection contains a mixture of species and of particular interest are the Sequoia sempervirens, Agathis robusta, two Ulmus procera, Quercus suber Quercus robur, and Eucalyptus cladocalyx. 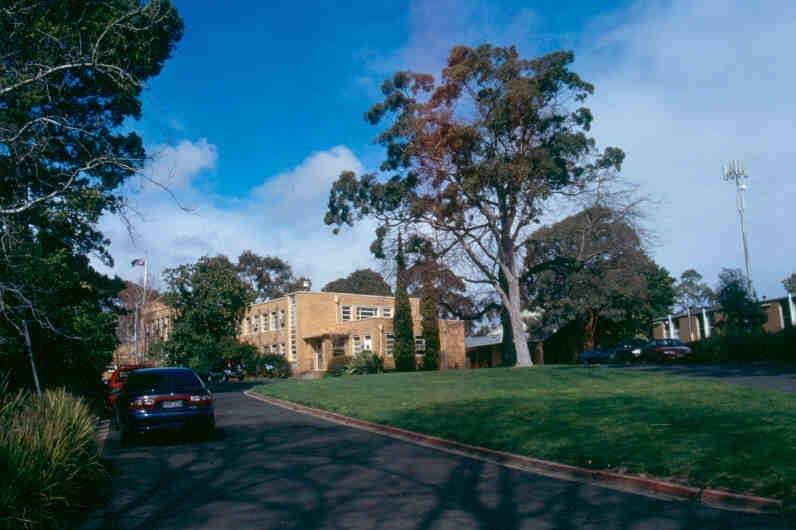 Burnley Gardens is of historical, scientific (horticultural) and aesthetic significance to the State of Victoria. 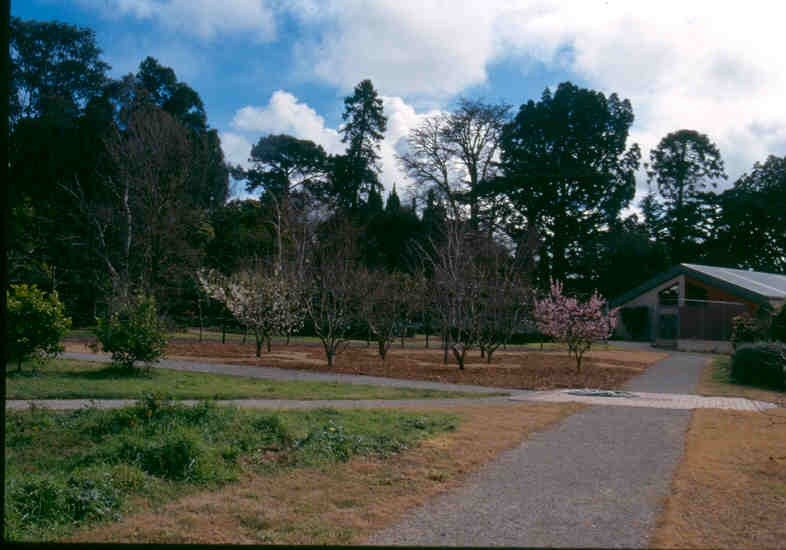 Burnley Gardens is historically significant for its connections with the Royal Horticultural Society of Victoria, which within the Burnley Gardens took pioneering steps in the acclimatisation of fruit trees to Victoria. 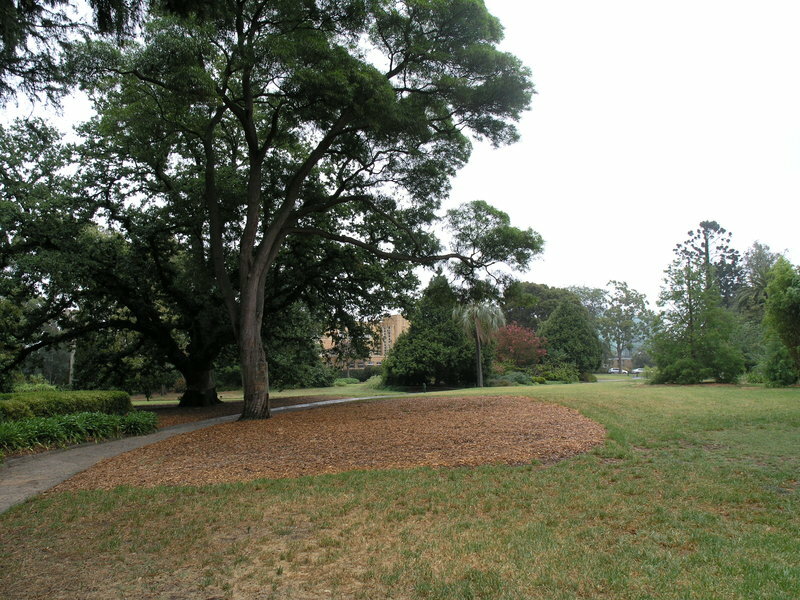 The gardens are historically significant as Victoria and Australia's first school of horticulture. The influence of Burnley-trained horticulturalists is evident across the parks and gardens of Australia. Noted designers include Edna Walling, Olive Mellor, Emily Gibson, Grace Fraser, Mervyn Davis and Margaret Hendry. Four principals, Cronin, Rae, Jessep and Pescott subsequently became Directors of Royal Botanic Gardens Melbourne, and Noel Lothian became Director of the Adelaide Botanic Gardens. Burnley Gardens is scientifically (horticulturally) significant for its diverse collection of mature trees including an impressive collection of Australian rainforest trees, Australian native trees and landscaped garden, many large mature broadleaf trees and conifers, and palms. 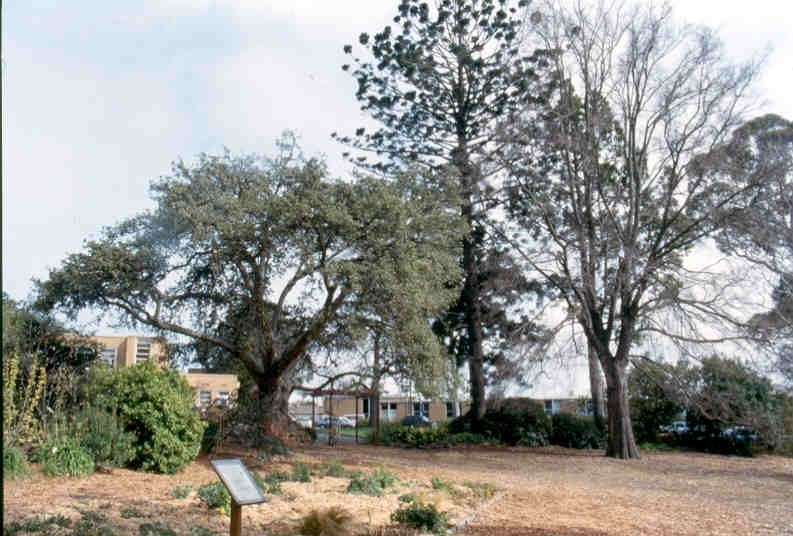 The planting includes some of the oldest and finest trees in Victoria, an 1861 Sequioa sempervirens and Agathus robusta, two remaining Ulmus procera (1860s) from the proposed Swan Street extension planting, a1890 Quercus suber, an outstanding Quercus robur dominating the oak lawn, and a landmark Eucalyptus cladocalyx at the end of the entrance drive. The planting includes several rare and uncommon plants including Combretum caffrum, Pittosporum undulatum Variegatum, and a collection of Western Plains flora. Also of importance are two rows of pears (pre 1934) in the orchard. Burnley Gardens is aesthetically significant for the design of its ornamental gardens, first laid out as grounds for the public in 1860. Layers of development still clearly show some of the original axial layout, and the contrasting landscape style employed by Luffman from 1899, to produce a landscape of originality and diversity. The Gardens exhibit outstanding landscape qualities, with large sweeping lawns dotted by mature specimen trees and palms, two lily ponds designed by Luffman and edged with pollarded Crack Willows, serpentine gravel paths, richly planted shrubberies, an Ellis Stones Rockery and an Australian native garden incorporating several remnant River Red Gums. The planting of contrasting deciduous and evergreen trees, palms, conifers, shrubberies, rose garden, cactus garden, and Australian native garden form to provide an outstanding landscape of plant variety and colour, and seasonal interest. It is comparable to a botanic garden, and forms a valuable recreation, education and research facility. Accoridng to CMP by Carmel McPhee, the Victoria Horticultural Society was formed 1848 (but surely not with that exact name???) Lieutenant-Governor La Trobe was patron. Committee included Henry Ginn, James Rattenbury and John Gill – architects who had, or would, work for PWD. In 1851??? Sir James Palmer, President of the Society, and Sir Redmond Barry (was he ‘Sir’ then?) traveled to England for the Great Exhibition to promote work of the society and obtain plants (McPhee report quoting ‘Annual Report 29 January 1862 quoted in Farmers’ Journal and Gardeners’ Chronicle’ [no date given]). Sir James Palmer was succeeded as President in 1869 by John Carson (McPhee p16). [NB. In 1857 Palmer purchased land from La Trobe’s Jolimont Estate and had it laid out as Jolimont Square. Palmer owned Invergowrie in Hawthorn]. Victorian Horticultural Society is not to be confused with Victorian Horticultural Improvement Society, who built Horticultural Hall in Victoria Street....VHS was perhaps more of an employers group – and the VHIS was for practical, fulltime gardeners and nurserymen (see R Beeston, Horticultural Hall, Conservation Analysis and Plan, nd.). [nb. p12 of that report erroneously states that the Victoria Horticultural Society and Royal Horticultural Society were different organisations – they weren’t. The Society changed its name in 1855, and had ‘Royal’ added in 1885]. The society held exhibitions in the Botanic Gardens whilst looking for a home. The association with Survey Paddock, Richmond starts in the 1850s. It occupied land in part of the paddock and applied for a land grant in the 1850s. In 1860 it was granted 25 acres and 600 pounds for experimental gardens. 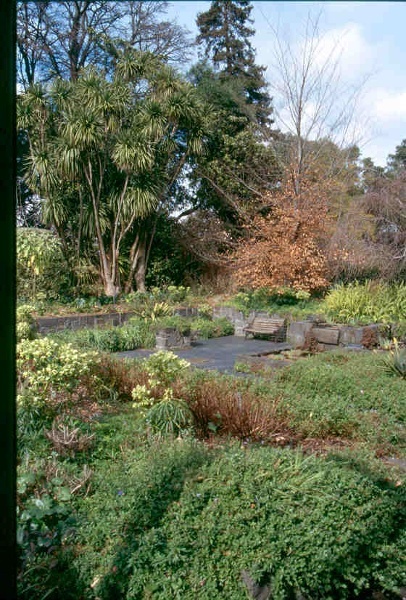 Half was spent on a fence, while half was spent laying out a portion of the gardens to a design by Alfred Lynch, landscape gardener of Prahran, who had won a design competition. His design is reproduced in McPhee. Very formal, axial arrangement for parterres, exhibiiton building, conservatories, and a small section of naturalesque layout at th enorthern end. Seven acres were subsequently laid out as ornamental gardens, including terraces. A small surviving section of stone retaining wall in the field station may relate to the early terracing. Mr W Phillips was manager , who in consideration of being allowed to plant tobacco for his own purposes, undertook to keep the ground already laid out in proper order. “The road towards the gardens first crosses the Suburban Railway, and after winding gracefully through the trees, few or none of which will be removed, the intended entrance is reached. Here we are met by a circular bed 50’ in diameter, flanked by 2 beds of irregular form; a fine Taxodium sempervirens, 10 feet high, presented by Mr Rule, forms a beautiful centre object, which will, at some future period, perhaps occupy the whole area of the bed. Leaving the terrace grounds on which the beds re formed, af light of steps will lead to the next terrace, on which the exhibition building is intended to stand, and on a further descent by similar means a third terrace is reached; but a fourth descent is required to gain the most ornamental piece of geometrical work in the garden, which when finished will be one of its most attractive features. The slopes from the terrace to terrace are all planted with chamomile, the dark green of which will admirably set off the beds with their ribbon style of decoration ion front. The more ornamental part of the gardens will be the 6 acres met with on entering, the remainder being chiefly designed with a view to utility, in testing the capabilities of new fruits and trees, and proving their adaptability to this colony. The design was the work of Mr Alfred Lynch, and is being carried out under his superintendence. On the right and left of the entrance it is intended to place the curator’s house and library for the use of the members. Fine specimens of Araucaria, Cryptomeria, and rare Coniferae are dotted about with a to seen the grounds we would recommend an early visit; even in their present style they are interesting, and the style of design though now much in vogue in great Britain, is we believe unique in this country.” McPhee, quoting Farmers’ Journal and Gardeners’ Chronicle, 26 October 1861 p1337). “Thus, while all botanical problems are now practically solved by Dr Mueller and his assistants in our beautiful Botanic Gardens, questions affect ting the inferior but useful science of horticulture will be answered by the institution of which we are now writing.” (Argus, 8 October 1862). In 1863 a Sequoia sempervirens - Californian Redwood – was planted. This tree survives. Numerous fruit trees were planted, foreman’s cottage erected. 1863 list of 1400 varieties of fruit trees. Severe flood. 1865. Gardens extended to 35 acres. Row of Elms planted along old Swan Street reserve. 2 of these survive. 1884, pavilion erected for annual shows. Designed by Alfred Kursteiner. 1885 Royal Charter granted to HSV. 1891. RHSV bankrupt – cannot service loan on Exhibition Building. 1893 Luffman made first Principal. Residence built. 1899. Ornamental gardens redesigned by Luffman to be naturalistic. First female students admitted. 1916 Edna Walling enrols. Graduates 1917. 1918 Jersey cattle herd established. 1921 New entry from Swan Street near bridge. 1929. Plant Research laboratory (later institute) built. 1946 new administration building by PWD (Percy Everett) begun. 1952. Extra land acquired at rear of Admin Building from Richmond Council. 1968-9. SE Freeway created new land on southern boundary. River Yarra course changed. River red gums left high and dry. 1979 Principal’s residence demolished. Becomes sunken garden. 1983. Department of Agriculture gives up management – now under Victorian College of Agriculture and Horticulture. 1980s. Huge increase in natives. More of Luffman’s work removed. 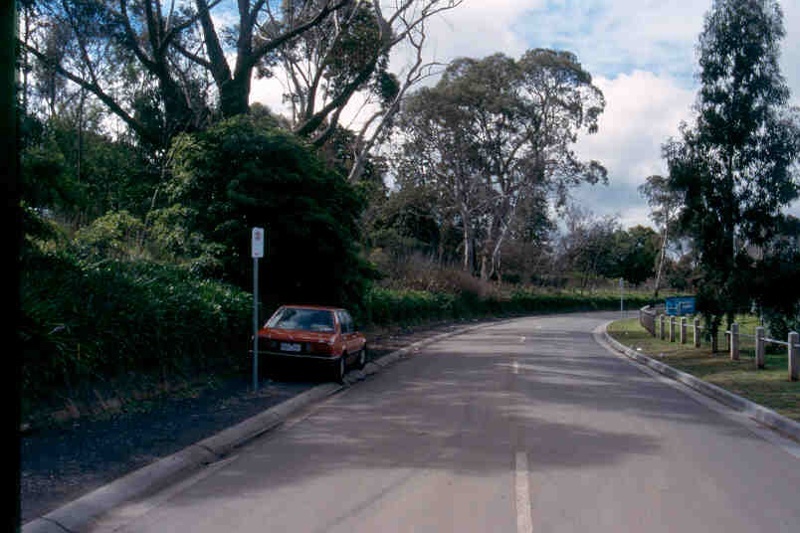 1995 land sold to Amrad Pharmaceuticals who build access road to Yarra Boulevard. 1997 Car parking moved to railway sidings. 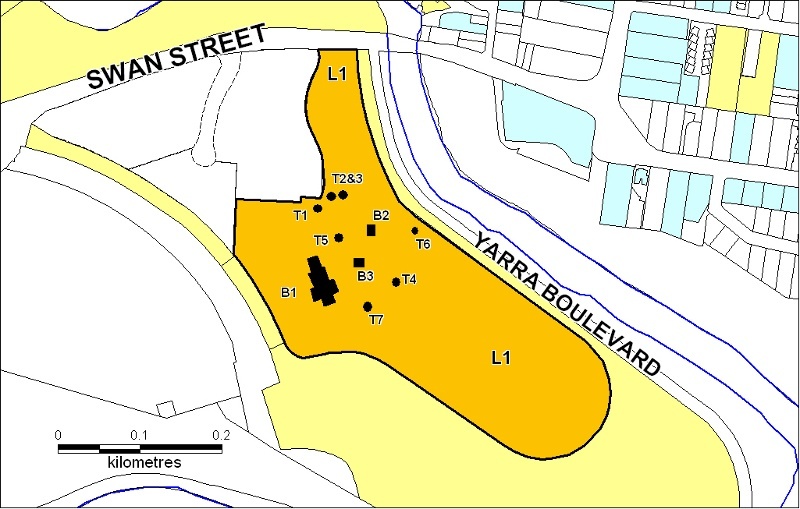 1999 Small parcel of extra land acquired at south from City of Yarra.NT list of trees: Agathis robusta - One of the largest specimens of this species in cultivation in Victoria. COLLEGE. A NATIVE SECTION HAS BEEN RECENTLY DEVELOPED. THE DEGREE OF INTACTNESS IS NOT KNOWN AND IT IS OF STATE SIGNIFICANCE. General Conditions: 1. All exempted alterations are to be planned and carried out in a manner which prevents damage to the fabric of the registered place or object. General Conditions: 2. Should it become apparent during further inspection or the carrying out of works that original or previously hidden or inaccessible details of the place or object are revealed which relate to the significance of the place or object, then the exemption covering such works shall cease and the Executive Director shall be notified as soon as possible. Note: All archaeological places have the potential to contain significant sub-surface artefacts and other remains. In most cases it will be necessary to obtain approval from Heritage Victoria before the undertaking any works that have a significant sub-surface component. General Conditions: 3. If there is a conservation policy and plan approved by the Executive Director, all works shall be in accordance with it. Note: The existence of a Conservation Management Plan or a Heritage Action Plan endorsed by Heritage Victoria provides guidance for the management of the heritage values associated with the site. It may not be necessary to obtain a heritage permit for certain works specified in the management plan. General Conditions: 4. Nothing in this declaration prevents the Executive Director from amending or rescinding all or any of the permit exemptions. General Conditions: 5. Nothing in this declaration exempts owners or their agents from the responsibility to seek relevant planning or building permits from the responsible authorities where applicable. Minor Works : Note: Any Minor Works that in the opinion of the Executive Director will not adversely affect the heritage significance of the place may be exempt from the permit requirements of the Heritage Act. A person proposing to undertake minor works may submit a proposal to the Executive Director. If the Executive Director is satisfied that the proposed works will not adversely affect the heritage values of the site, the applicant may be exempted from the requirement to obtain a heritage permit. If an applicant is uncertain whether a heritage permit is required, it is recommended that the permits co-ordinator be contacted. * Painting of previously painted walls, posts, and roofing. * Treatments to stabilise and protect timber, metal and masonry structures. * Removal of extraneous items such as external lighting, air conditioners, pipe work, ducting, flues, wiring, antennae, aerials, fly screens etc. and making good. * Installation, removal or replacement of hoods, nails and other devices for the hanging of mirrors, paintings and other wall mounted artworks. * Refurbishment of existing bathrooms, toilets and or en suites including removal, installation or replacement of sanitary fixtures and associated piping, mirrors, wall and floor coverings. * Installation, removal or replacement of existing kitchen benches and fixtures including sinks, stoves, ovens, refrigerators, dishwashers etc and associated plumbing and wiring. * Installation, removal or replace of bulk insulation in the roof space. * Removal or installation of notice boards and the like. * Demolition or removal of non-original stud/partition walls, suspended ceilings or non-original wall linings (including plasterboard, laminate and masonite), non-original glazed screens/partitions, non-original flush panel or part glazed doors, non-original bathroom partitions and tiling, sanitary fixtures and fittings, non-original kitchen tiling, fittings and equipment, lights, modern built-in cupboards, shelves and benches, cubicle partitions, computer and office fitout and the like. * Removal or installation to interiors of modern door and window furniture including hinges, locks, knobsets and sash lifts. * Removal of tiling or concrete slabs in wet areas provided there is not damage to or alteration of original structure or fabric. * Installation, removal or replacement of electric clocks, public address systems, detectors, alarms, emergency lights, exist signs, luminaries and the like on plaster surfaces. * Installation of new built-in cupboards and shelving providing no alteration to the structure is required. * Maintenance of the existing hard surface landscape including paths, gutters, drainage using like for like materials where practicable. * Removal of non-significant fencing and gates. * Emergency or safety works to plants, structures, paths, drainage, services or other components. * Management and maintenance of trees including formative and remedial pruning, removal of deadwood, pest and disease control, cabling (and similar supportive works), and (other than those listed in the Schedule), planting and removal. * Management and maintenance of the general living landscape, including shrubberies, borders and turf. * Installation, placement, modification and removal of components of directional, interpretive, public safety or informational signs, plant labels or other general signs. * Construction, installation or maintenance of services such as water, electricity, lighting, communications cabling, sewer and drainage systems. * Management of trees in accordance with Australian Standard; Pruning of amenity trees AS4373. * Removal of plants listed as noxious weeds in the Catchment and Land Protection Act 1994. The importance of the Burnley Gardens lies primarily in its layers of development and planting which combine to create a cultural landscape of considerable individuality and diversity whilst continuing its role as a preeminent horticultural educational establishment. Whilst the landscape character of the Burnley Gardens as laid out in the early 1860s has been substantially erased and the later Luffman design has also been modified, the landscape nonetheless retains elements from all the major periods of development. 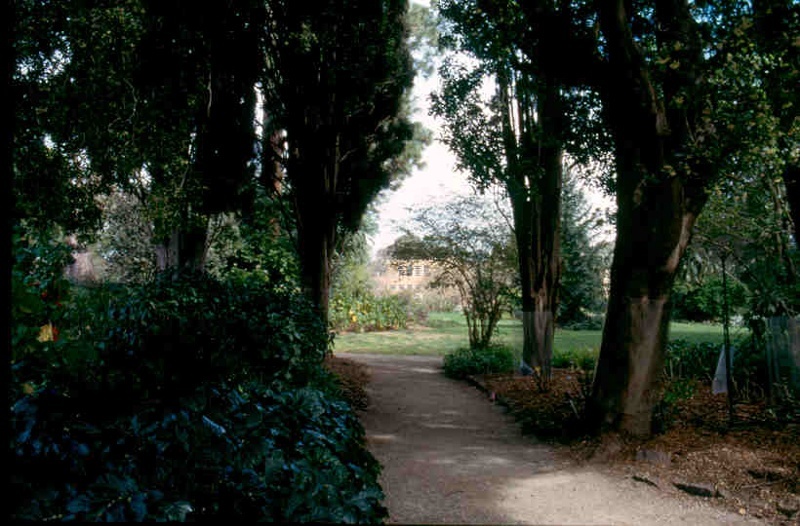 Conservation and management of the Burnley Gardens should be undertaken with reference to Carmel McPhee & Lee Andrews, Burnley Gardens Landscape Conservation Analysis (2002). That report attributes varying levels of significance to the garden layout, roads, paths, buildings and structures. Each generation has made its mark in the gardens, and therefore the gardens lack a sense of historic cohesiveness. In the absence of a current Master Plan to establish a framework for future development of the landscape and the living plant collections within it, permit policy should be guided by the significance of the individual parts. The viability of the continuing use of the place for education must be balanced against possible compromises to its cultural heritage significance.